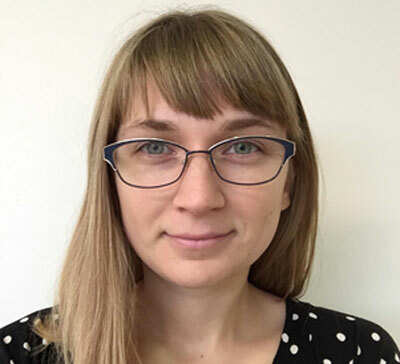 Julia Burmistrova is in the undergraduate five-year Bioenvironmental Engineering program at Rutgers University, and is studying natural and engineered solutions that will increase public open space and help mitigate flooding in Perth Amboy. Her project is made possible through the Center for Urban Environmental Sustainability and the Aresty Research Center. For the project, the City of Perth Amboy wants to redevelop and connect multiple properties (public and private) along a 1.5-mile stretch of coastline. Under the leadership of Dr. Beth Ravit and Dr. Wolfram Hoefer, the City has asked Julia and Eden Cohen, a Landscape Architecture student, to work collaboratively to develop a plan for shoreline redevelopment, while improving coastal resiliency. To understand existing conditions, Julia studied various attributes of the study site, such as the soil quality, previous flooding events, and the number of CSOs whose discharges could affect the properties. The next phase is to add natural and engineering features to the project design and analyze various design elements using software such as HydroCAD to determine which approaches might be most effective in reducing flooding.